by Randi Kreger with James Paul Shirley, L.M.S.W. Randi Kreger draws on extensive new research to provide advice for successfully navigating life with someone who has borderline personality disorder. Step-by-step suggestions--many from users of the author's comprehensive website-- help readers set and enforce personal limits, communicate clearly, cope with put-downs and rage, develop a safety plan, and make realistic decisions. Throughout the text are worksheets, checklists, and exercises that build on one another and enable readers to apply the suggestions to their lives. 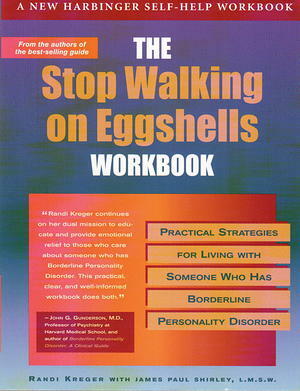 Check out our Borderline Personality Disorder category for more books on BPD.